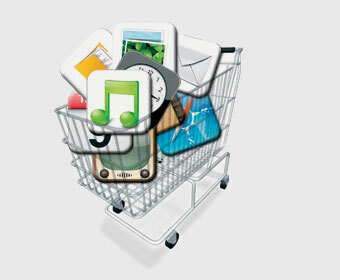 UK supermarket Tesco began selling the Apple iPhone on Monday, at the lowest monthly contract price in the UK market. Tesco is offering the device for just £20 per month on a 12 month contract – a first for the iPhone retailers. The trade off however, is that consumers will have to fork out £222 up front, and that’s for an 8GB 3G (not 3GS) device. On this tariff, rather than going down the all you can eat data and bucket of voice minutes every month, Tesco will give iPhone owners £60 in flexible credit to spend as they choose each month. But the 8GB 3G and the 16GB 3GS will also be available for free with unlimited calls, texts, and browsing, on a 24 month contract, for £60 a month. On this tariff, the 32GB 3GS will be available for £50 up front. Tesco Mobile is a 50:50 joint venture MVNO with O2 UK and the supermarket claims some 42 million shopping visitors a week. In other iPhone news Apple has overhauled the interface for its iTunes-based App Store platform, making it more graphically intensive. With over 100,000 apps now available in the store, the biggest problem developers face is discovery of their creations, a problem this new approach seeks to address. It reads like it’s the 80’s all over again!